When it comes to your mortgage, it is important to make sure you get the home you really want, with flexible financing solutions that are right for you. This is where I come in. I’m here to help you get the mortgage you need to suit your lifestyle and to make your home ownership goals happen. Supported by the considerable resources and expertise of RBC Royal Bank®, I will provide you expert advice and service for your home financing needs. I can help you understand the economic environment and ensure your financing suits your current situation and your future plans. You’ll enjoy the confidence of knowing you are working with a professional who has only your best interests in mind. As a Home Financing Advisor with Scotiabank, I have more than 15 years of experience in financial services, particularly working with homebuyers and top realtors in Langley, White Rock, Surrey, and now Nanaimo where I moved in 2017. I am dedicated to sharing a superior level of customer service and practical advice with mortgage customers, from first-time homebuyers to seasoned investors, who want innovative, customized solutions that complement their bigger financial goals. Whether you are purchasing a home, an investment property, transferring a mortgage, or refinancing to consolidate debt we can discuss the best mortgage solution to suit your needs. A first time home buyer or a seasoned homeowner, I am committed to making your mortgage experience comfortable and easy. With over 35 years of service in the financial industry, I look forward to providing you with professional financial advice and exceptional customer service. Whether you'd like to buy your first or next home, purchase a rental/investment property, leverage the equity you've built towards another property purchase, or build your dream home, I'm here to discuss strategies and products available to you. I’ll be happy to take you through the steps in your home financing process. Together, we'll review the different options available, identify the home financing solution to help you meet your current and future needs, and make the whole process as smooth as possible. 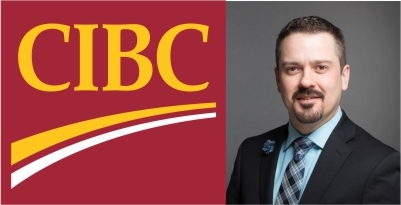 As a trusted CIBC Mortgage Advisor, my job doesn’t stop at finding the right financing solution for you. I can provide you with advice and information on living with your mortgage, such as pay down strategies that will help you own your home sooner, or options for your next property purchase. I have been providing clients with sound purchase, refinance, and new construction mortgage advice for the past 11 years, including multiple times being recognized as a top performer nationally, along with service awards and client letters of recommendation. I was also a branch Senior Financial Representative for 5 yrs, so you can expect to receive mortgage advice that will include and keep in mind your all around current financial portfolio. If you have any questions along the way, or even down the road, I encourage you to contact me, whatever your situation. I look forward to helping you navigate through the entire financial process and offer focused solutions that are catered to you!